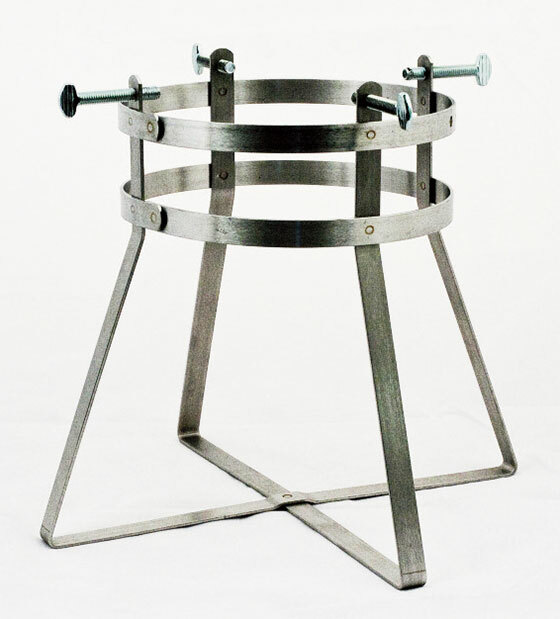 This stand provides increased stability to cylinders with diameters of 4" to 7-3/8". It is constructed of stainless steel. Four thumb screws hold the stand securely to the cylinder. Stand height is 10". 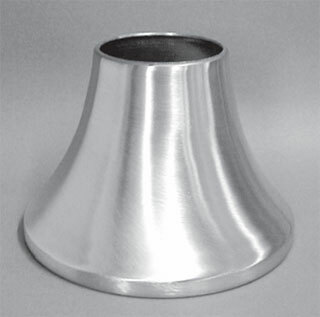 This stand offers a convenient method of securing a 3 1/4” cylinder on a table or lab bench. 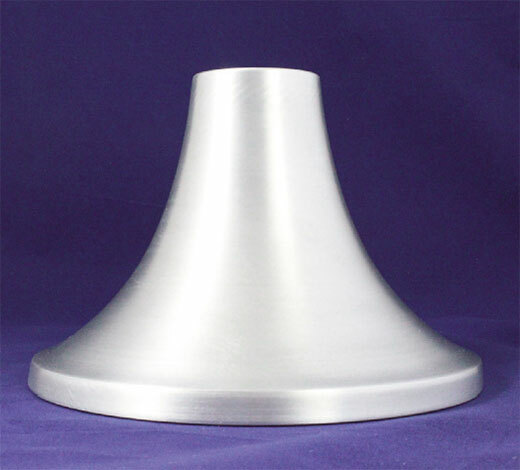 The stand is made of light weight brushed aluminum, yet the large diameter base provides stability even when a regulator is installed on the cylinder. This stand offers a convenient method of securing a lecture bottle on a table or lab bench. The stand is made of light weight brushed aluminum, yet the large diameter base provides stability even when a regulator is installed on the bottle. 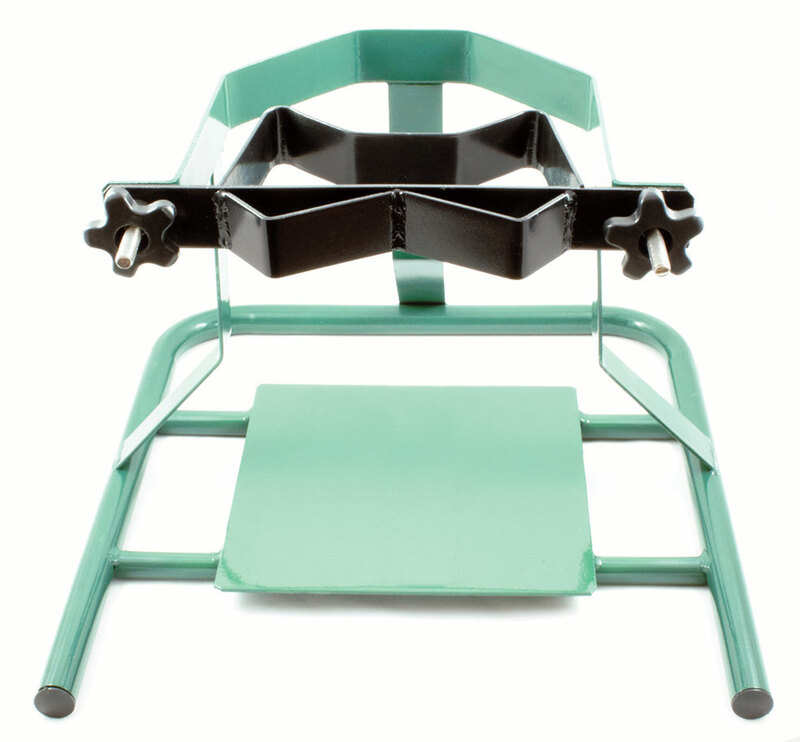 This stand provides increased stability to cylinders with a diameter of 7"-9.5" in situations where it is not possible to secure the cylinder to a wall or a bench with the model 400 or 420 cylinder holders. The cylinder can be rolled on and off with ease and is firmly held in place or quickly released by the cylinder holding band. With this unique design the cylinder rests on a steel plate and uses the cylinder’s own weight to help keep the cylinder and stand stable and eliminate unsafe cylinder "ride up" that is common in some competitive models. Constructed of steel painted green.